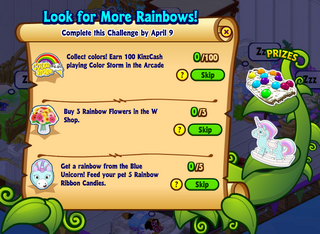 Chocolate Egg Event, Spring Celebration, & Webkinz Day means lots of goodies for April! Moms, saw post had closed, so made this post. I put the link for the calander in the title. Don’t know yet how to post pics. And I don’t have permission to reopen last post. So hope this is ok, and figured you can always edit it if need be. Moms, thank you again for the hatch the dragon trophies! So darn cute, I hadn’t actually seen one yet, I love that it is in color and changes!! I also found out while moving some around that the home before dark trophy if clicked on changes from sun to moon, not sure if you knew that or not . Lurker, mom’s gave me 2, but I’ll happily take a couple more for decorating purposes if you really have that many! Lol thank you very much..I had no idea how adorable they were. Puma, congrats on your new fur baby! Lurker, I agree with the others, I think making the fishing trip a tradition with your children would be wonderful, a loving tribute to your husband’s father. dee… glad you had a nice getaway ! Our family did quite a few road trips growing up … parents piled all six of us in a station wagon .. We always had a home made sign which read “Smile you’re on Candid Camera ” and would we have my Dad’s camera in hand and flash the sign at cars going by… People would smile and wave.. and all of us would laugh and wave back… One idea my parents had to keep from hearing … Are we there yet ?? Lurker… I agree with everyone.. Hubby should take the kids and go trout fishing…. Keep the tradition going..I think your FIL would be looking down and happy to see his son and grandkids .. enjoying an activity that was so special to him ! moms… if you decide to check out The Village.. let me know what you think. chant – you’re a hero!!! thanks for making the post – i had it in my brain that i had until midnight today meaning tomorrow – duh! gaga – okay, i watched the first two episodes of The Village on demand, and I LOVE it!!!! I set it to record now – it’s very good, and i love and want that crochet heart ♥ thank you for recommending it! i have a couple dozen extra hatch the dragon trophies – who else wants some? Lurker – Not that you need my input at this point, but I love the idea of your hubby going on fishing trip with kids in memory of his dad. Also, I really enjoyed reading about all of your Lurker names! It helps clear up any confusion I may have had on this! LOL! Someone here gave me some tips on how to get the hatch the dragon trophy for which I am thankful. I don’t win it every time like some of you all, but I do get one occasionally. It is a cute trophy! Haven’t read the comments on the last post yet, I can only stop in for a few months. I have an interview for a research assistant position at school later. It’s unpaid, but I can get credit for a class if I do it. It’ll also look good on a grad school application. I came soooo close to the goody gumdrops trophy last night. I was 500m away from winning and then I died! I did find that it’s easier to play on the app instead of online, so I might continue trying on the app because I struggle to get that far online. Dixiecup, the Pretty Prairie Dress and Purple Blossom Hat are on the way to you! Chant, you’ve got mail, too! Three Hatch the Dragon trophies have been sent, and let me know if you need more. We are making our first big change to the house. New dishwasher is being installed as I type! Whoo hoo…So excited! Stella is making a big fuss in her crate. I tried leaving her out, but she wouldn’t leave the guy alone. She kept sticking her head in the dishwasher and licking him. The dishwasher here was 12 years old and the door where you put the rinse aid was broke so half of my glasses are cloudy now. They were old anyway and now I can buy some new ones! moms—Thank you so much for the puppy class advice. That will be what I do moving forward…or making dh do that part of class! Sensory overload is exactly it! dee—So glad you had a good time and enjoyed the german restaurant! Dh knows his chow! TLL—Like everyone here, I think your dh should go on the trip too, even if it will be tough this year. Looking back he will be glad he kept the tradition alive. Chcoc—Good luck with your research assistant interview! Oh, man, sorry about just missing the Goody trophy. Hopefully you’ll get one soon. Thanks for the new post Chant! Hope all have a great day! April, those comparison pics of Stella are incredible! From tubby round puppy to the sleeker lines of a more mature muscular doggo, but you can still 100% tell it’s still her. She’s going to be a gorgeous chunka-bull when she’s grown. I love pibble and pibble mixes- such mooshes with smushy heads and chunka boulder bodies. And they’re all wiggle! I’ll send Moms some pics of Clover shortly here (if you don’t mind, Moms) and she can post them here. I don’t have accounts on any image sharing sites yet, and with 3-year-old, who has time to MAKE one!? Kitty is downstairs today. She CRIED all night the first night- so much that we brought her downstairs after bedtime so she wouldn’t wake Kiddo. She’s sweet, friendly, soft, and gentle. She doesn’t mind being picked up, and is still a bit stressed, but interestedly curious about everything. She spent yesterday in Husband’s home-office, hanging with him. Today, she wanted to come down, but after exploring a little, Toddler made her a teensey bit nervous, and she’s sleeping behind the couch. If she comes out, I’ll tote her upstairs so she can get food and water. But I’m comfortable that she’s hearing all our morning/daytime noises, smelling breakfast and lunch, hearing kiddo play, hearing us move about and play music- this will be the soundtrack of her life now! Lurker, I was wondering if all the “Lurkers” were the same person Glad to have that “mystery” solved I LOVE the Update Wednesday spoiler posts! Chococat – Best wishes on the research assistant interview. It sounds ideal for your situation! Is anyone else having trouble getting into WW right now? Btw, I rebooted and I was able to get in! Not sure what was going on there! altho i think of shoe polish! you young folks and non military prolly have no idea what shoe polish is! just made some hard boiled eggs to make egg salad……thinking of hiding it when it is finished! do not forget march codes folks! but not so much lately?? Moms, really.no big deal, if I knew how to put the photos in I would have done that too..unless you’d need to give me power to do that? I’m often on very late or early morning anyway. And I know how busy you are..and I really appreciate this blog..it’s nice to be able to help if possible. Lurker, thank you very much! Choco, best wishes on research assistant job! And wow, how frustrating to get so close to winning trophy and not win! Ugh! Puma – AWWWW! Clover is so cute! Thanks for the link to the name website, I’m gonna bookmark that for future reference. I got the research assistant position. She said i’d probably hear back within a week or so, but ended up emailing me only a few hours later to offer me the position. It’s unpaid, but it’ll look nice on a grad school app. Choco, congratulations! !! Hope you enjoy the new job! Puma, clover is adorbs!!!!! Congrats on your new furbaby..
Puma .. your new kitty is adorable ! April… New appliances are also fun to get… sounds like Stella was supervising the installation !! Hope you all have a good day !! So looking forward to April… new WW activities and hopefully some warmer weather…. and wouldn’t mind some April showers ! gaga – let us know when you hear from him! he has a whole bunch of “aunties” wanting the best for him!!! i’m praying he is happy & excited for his future because it is going to be bright! dee has me over here laughing about shoe polish, then gaga comes up with this name – why doesn’t the younger generation know about shoe polish? goodness knows the amount of white shoe polish used on saddle shoes! the only things i know about new zealand……..
they had a big earthquake a few years ago…. does your school offer a stipend or scholarship for the research position? i ask because dd had an unpaid one and was able to get a stipend for it. it was not much, but helped to cover her transportation costs getting there and back. Congrats Choco on your research asst. position! That’s awesome! Puma—Thanks for the awesome love for my Stella. I love that you used chucka…that is her so much! Miss Clover is so beautiful!! I love her coloring. 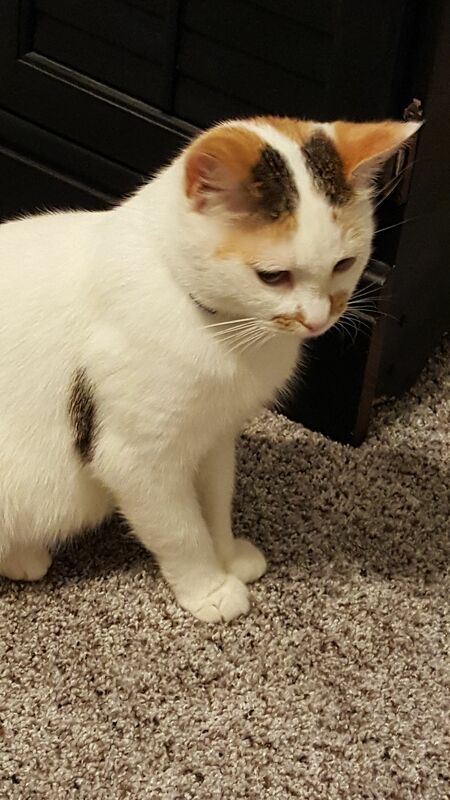 Those smuges on either side of her nose are adorable! I’m sure it won’t take her long to settle in and realize what a fabulous home she has. Chant! Oh, I wish I could loan you my new dishwasher with how many awesome things you cook and bake! I like to cook and bake too and cleaning up is a dreaded task, and you do it all by hand! My bro and I were the dishwashers growing up. I still have flash backs of my mom soaking the lasagna pan before I had to wash and those nasty floating bits touching me. Gah! To this day if I need to hand wash I pre-wash everything and then fill the sink and wash.
gaga—Good luck today on the new system training. At least after today you’ll have the weekend to recover. And we are all hoping for the best news for your nephew! I love the pet pics! Precious kitty and the puppy may win me over. Always have been a cat lover. Entered my codes on the rest of my accounts yesterday that expire this month. Checked my list against the one posted here and everything is there. Thanks for posting the list, moms! Still use shoe polish from time to time. I think that my kiddo’s know what it is, but not sure. LOL! One of my closest friends went to New Zealand recently and loved it! She said that it is the most beautiful place in the world. (Not sure how much she has traveled, but you get the point). Hubby is home today so I have done nothing Webkinz. Will try to sneak it in some time. He knows of hobby, but I just try to hide how much it consumes my time. Sigh. Dee, I LOVE the idea of naming your pet after the Kiwi polish!! I think I might name mine Penny Loafer, or Oxford, Buster Brown or for the sarcastic, ironic crowd WINGTIP! Gotta come up with s real ‘fly’ name for this guy! Puma, your kitten looks like a calico variant Siamese cat! The color points are so very specific, like points on a Siamese cat. 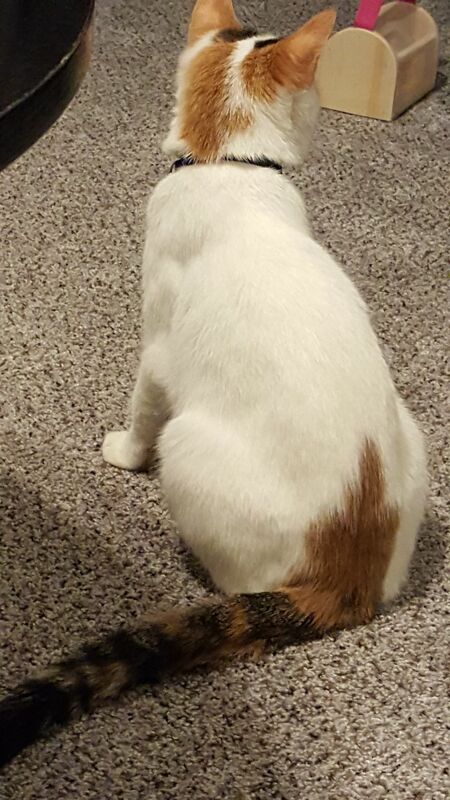 Even her profile and shape. I love her, she’s such a unique cat! Dee, YES, the Color Storm Trophy is a re-release. I recall them saying something about that right at the beginning after maintenance. It’s the Tulip Trouble Trophy I am hoping they bring out. I’ll just BET they’ll have an ‘April Showers bring May Flowers’ promo, next. The Raining hat and dress from Deluxe gifts look like the perfect tie-in. I can’t believe how many things WW has coming up in April! Hope I can keep up..love getting the free pets, and the kiwi bird is really cute. I’ll at least get them on my deluxe accounts, but I dont think I’ll push to do them all. Moms, sorry to bother you with this, but I can’t find the directions on how to put a picture in my comment. Please help me!? Thank you! Moms, sent you a picture in email of my kitty piggy can you please post it for me? Thank you! chant – look at this expression!!!! i love it! your kitty’s face says panther, but its fuzz says KITTY! I was finished within 10 minutes. Choco, so happy for you on job! gramma.. nice to “see” you…. finished a pot of coffee… on to Pepsi !! 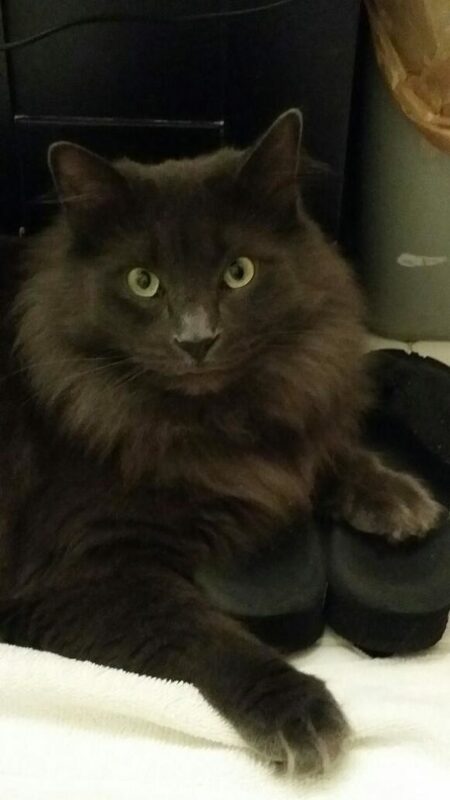 Chants… your kitty is very regal looking… as if he rules the roost ! Choco… congrats on getting the job ! Dixiecup.. love your name choices for the upcoming Kiwi bird… especially love Wingtips !!! Queen of Sheeba.. feel badly that you have to “sneak” to have time to play in WW….You work so hard and have little time anyway.. so what time is left… I say Play Away !!! April… the whole computer conversion is going to throw me over the edge!!!! The whole situation is causing such upheaval among the staff…. I will give it my best effort but change is very difficult….will see what the immediate future holds…. dee…how is your weather… were you able to get outside and do some planting ?? CLE expecting lots of rain today…predicting 1-2 inches… have used the “S” word for tomorrow !…. Thought we were finished with snow !!!!! Thanks to each of you for your kindness and support ! gotta make a post – dixiecup – i assume it’s okay to use your image??? hey gramma! how’s it going? how is everything with your family?